Public relations nightmare? A big misunderstanding? One thing's clear: Miyamoto wants to design video games. That's a good thing. When a pro athlete makes a mistake, the announcer will often say, "bet he wishes he could have that one back." Bet he wishes he could have that one back. That's probably how Nintendo feels after the company's iconic designer, Shigeru Miyamoto, candidly spoke about retirement with Wired's Chris Kohler, to which I say, Kohler, you lucky son of a gun. As expected, the news spread through the gaming community like herpes at a drunken frat party. Everyone had an opinion. I'm sure a few Nintendo fans wept, and I don't mean that as a figure of speech, but actual tears streaming down their faces. In sadness? In anger? Does it really matter when the guy behind Mario, Zelda and Donkey Kong wants to call it quits? Which he doesn't, by the way. Miyamoto, after years of overseeing projects and upending tea tables wants focus on creating video games. That sounds wonderful, really. Here's a guy that rose to stardom following Donkey Kong and Super Mario Bros., games he physically developed. Then, as that star grew, he evolved into a producer role, but what does that mean? I doubt most people know what Miyamoto does on a day-to-day basis. Yes, he works on games, but no one outside the company knows how much of that involves programming versus overseeing. Many video game journalists learn that Miyamoto's the guy producing the next Pikmin, then automatically attribute the game as his, when in fact there's an undisclosed number of developers doing the grunt work, men and women we'll never meet in person or learn their names. It just becomes a Miyamoto game. With this in mind, sure, Miyamoto. Take a reduced role and make games. Sounds like a great idea, right? Not to shareholders. The news caused Nintendo's stock to fall two percent in a year when Nintendo needs every positive percentage point it can grab, following the lukewarm reaction to Wii U and 3DS' slow start. Going back to the interview, I still don't know what the deal was. Kohler insists Nintendo's words were translated perfectly. Meanwhile, Nintendo backtracked, insisting to multiple outlets bigger than Wired that Miyamoto will stay put, and that it's all one big misunderstanding. 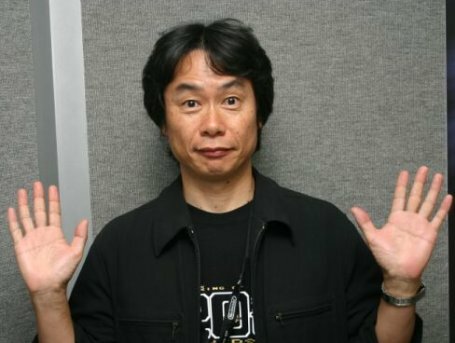 Don't ignore the fact that Miyamoto's 59-years-old. My fiancee's parents are set to retire in a couple of years, both of which are younger than Miyamoto. Certainly, the guy must think about ending his illustrious career to spend the rest of his life with family, or to plant flowers in his garden without the stress of finishing the next Mario game for the holiday rush. "I'm getting old, producing isn't as much fun as making games. I want to make games." Was Wired the best outlet to reveal this news? No, perhaps not. I'd like to think when the day comes (and it's coming), Nintendo will have a carefully worded announcement. Also, I doubt Miyamoto will ever officially leave the company. He'll stay on board as a consultant, which is another way of saying "I can no longer deal with the 9-to-5/I have nothing more to prove/I'm tired but still want to work in some capacity." For now, though, this puts Nintendo in an uncomfortable position. Did Miyamoto speak the truth? Were his words misinterpreted? He says yes and Nintendo agrees, but given the way corporations work and the timing (with 3DS picking up steam and Wii U quickly approaching), it's clear the person who creates Mario games will continue creating Mario games until he can't. When that happens, believe me, you'll know all about it.